After being idle for a week due to the All-Star break, the NBA resumed its season last night. There were six NBA games played Thursday. Of those games, five of the six went Under the total. None of the five Unders were close to going Over the total. So it’s reasonable to conclude there is a rust factor. Now Denver and Dallas get back in action. Each team has gone nine days without playing. But there is more than a rust factor that also point to an Under in this matchup. The Nuggets get back guard Gary Harris, who had missed the previous seven games due to a groin injury. Harris is a very good defensive player. So is big man Paul Millsap, who also is back from injury for the Nuggets. Denver gives up 4.2 fewer points per 100 possessions when Harris is on the court, according to research compiled by Basketball-Reference.com. The Mavericks have shaken up their roster making a rebuilding commitment by trading off four of their starters while getting little in return for this season. Dallas is averaging fewer than 103 points per game in its last five games since dealing those players. Dallas been a below-the-radar Under team for a while now with the Under going 15-5-1 in its last 21 games. I have a Max Unit Ivy League play heading up my Friday card. This is my strongest Ivy League play of the season. I am 52-34-1 for 60 percent on the season in college basketball. I also have a pair of premium NBA plays going today in addition to this free selection. I am having a strong NBA season, too, going 45-28-1 on my last 74 premium/free plays for 62 percent. I am 72-50-2 in hockey and anticipate having several Friday NHL plays. 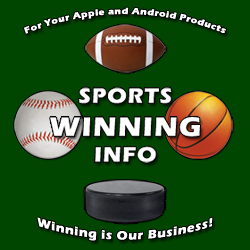 If you are interested in my sports service please email me at scriber26@gmail.com or message me via Twitter. Thanks and best of luck!